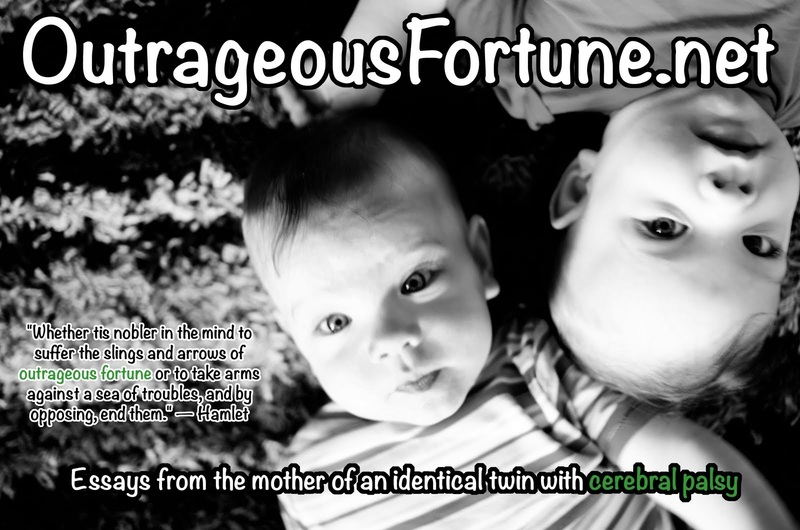 Outrageous Fortune: How Does One Talk to a Three-Year-Old About Cerebral Palsy? How Does One Talk to a Three-Year-Old About Cerebral Palsy? "Hey, JJ, what did you do today with daddy?" "We go to Shriners with daddy." "Oh, yeah, that was Friday. Today is Saturday. What did you do this morning while mama and Malachi were at ABM?" "So, what did you do with daddy at Shriners?" "We go to Shriners with daddy and mama and Kai-kai. We have appointment." "Yep. Hey, JJ.... Why do you think Malachi has so many appointments?" "How come Malachi has appointments? Does JJ have appointments?" "No, JJ not have appointments." "How come Malachi has appointments?" "How come Malachi have appointments?" "It's because Malachi has cerebral palsy, remember?" "It means Malachi got hurt in his brain. Remember yesterday we were talking about where thoughts come from. They come from inside your head, in your brain. Malachi got hurt there when he was a little baby. Now he needs appointments to help him learn how to walk and stuff, like we are." "Yep, we are walking. Mama is walking and JJ is walking, all by ourselves. Kai-kai is learning how to walk like that too. No wheelchairs, no walkers. Just all by himself, like us. We are trying to teach him how at appointments." "Yep, we are trying to help him learn." "Oh. Yes, that's right. Mama holds Malachi to walk sometimes." "Here's the blackberries. Can you reach them? Here, pick only the ones that are all black." "These are blackberries. Not raspberries." "Yep, not raspberries. Don't pick the red ones, just the all-black ones." "I like to do something." "You like to do something?" "Yeah, I like do something. Pick blackberries. And mama like to do something. And Kai-kai likes to do something, too." "Yeah, hon. Kai-kai probably would like to pick blackberries. Maybe we'll try to bring him next time." I guess I feel like because we talk about it in front of them, we ought to talk about it to them. My kids know lots of really large words like "appointment" and "icosagon" because I use them and I answer their questions as best I can. 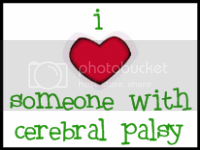 "Cerebral palsy" is a word they probably hear a lot and I think they should know what it means. That said, it's really difficult for me to figure out how to talk to them about CP because it's such a huge part of our life and yet I don't want to taint their understanding of it with my prejudice. It's great to hear how other people are doing it, so thank you! I am mother to twin boys, one with cerebral palsy. They are almost five now. My son has never asked why his brother can't walk by himself, why he can't eat with a spoon by himself etc. Everything seems normal to him. He doesn't think something is strange so he never asks questions. Last year, when he was 4, I told him that something happened at his brother' head when he was in the mom's tummy (i didn't say cerebral palsy, he wouldn't understand) that's why, because of this injury at the head, he can't walk etc. That's the reason we bring all these therapists home to help his brother get better. When he was four and a half, I started the same conversation. He told me that his brother is still young, when he grows up he will able to do anything. That's what he thinks, so I understood that he couldn't really get the picture yet and I stopped the effort to provide him with information. Now, not with his mind, but in his heart, he has understood that his brother needs care and protection. He brings things to him, calls me when he thinks something is going wrong with his brother, gets thrilled when his brother does something new, or scolds him when he does something wrong like sitting between his knees for example. All these things, he doesn't use his logic, he just feels. Other children have asked me why my son is not walking without support, why he can't stand without holding something, his brother has never asked anything. It's all OK to him, at this age. Sorry for any mistakes at my English. I 'm writing from Greece. Thank you! It's great to hear especially from another mom of twin boys. JJ cares a lot that Malachi has CP, but only in the way that it gets Malachi way more attention. Otherwise, he is like your typical twin — he never even considers the possibility that Malachi should be any different. Which is awesome. I hope he maintains that forever. But, again, our entire lives revolve around Malachi's therapy sessions and I feel like they deserve to have some small crumbs of understanding why. I am the same as Liz, I give them info as they ask. As they get older, they ask more questions. I give the simplest answer that will satisfy their curiosity, because I think too much just goes over their head. They don't know the phrase cerebral palsy, because they haven't asked for a name yet, and we don't say it a lot in the house. Julia has recently been asking why mommy, daddy, Gabrielle and Sadie (the dog) all walk and she can't. And she's been asking why her right arm likes to stay bent, but everybody else has two straight arms and she only has one. So I told her that her brain is what makes her arms and legs move, and right now her arm and legs don't understand what her brain is saying, and that's why she sees her therapists, to make her stronger. For now that is acceptable. When she starts asking "why, why, why?" to that response, then I'll pull out the brain injury. Thanks, Amy. We seem to always have discussions about whether or not to talk about CP and it really helps me think through what I believe. Here's what I think. I don't wait until my children know enough about the world to ask about shapes, or colors or numbers. I don't wait until they are "old enough" to ask about preschool or outer space. I didn't even wait to tell them that they used to live in my tummy and drink milk from my breasts. The world is a huge and confusing place, and as soon as things come up, I'm going to try to explain them in the most age-appropriate way i can think of. The above conversation might not have been the best. I certainly didn't plan it. But I felt like it was the right time to start introducing some of these concepts, even though, in fact ESPECIALLY, because some of them would go over his head. I think three-year-olds spend a lot of their day not understanding stuff, or learning to believe really weird stuff (like that they used to live in my tummy) so it's not as big of a deal to them as it is to us if they don't completely understand it on the first try. Conversely, if I don't talk directly to them about something that is such a huge issue in our lives — something that I talk about often with therapists, doctors, friends and other adults in front of them — I feel like I am giving them the message that this is not something that they can ask questions about as freely as they would about shapes, etc. For them to be able to know enough about it to formulate a question about it, I feel like it has been something kicking around in their heads for a long time before that and they may have already come to some incorrect and potentially damaging conclusions about it. Or maybe it turns it into a bigger deal to talk about it. I can see why many people would feel that way, but I really don't believe so. As a word person, I spend a lot of time searching for words and expressions to describe exactly what I'm feeling. While I can see how incorrect information or assumptions can be damaging, I don't see how providing correct information and facilitating expression at as early an age as possible could be damaging. I don't think explaining it makes it a bigger deal (though I do think it can in some circumstances, just not in these), and I don't see it as damaging. Yes, we teach our children about shapes, letters, numbers, etc. before they understand it. And I think we are saying the same thing - we teach them as they come up. Sometimes that is because they ask a specific question - "Why is my arm not straight?" - other times because it is vaguely alluded to - pointing to a tire and asking, "What is that? 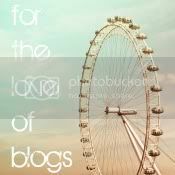 ", which leads to a discussion of shapes. And other times because it just seems like it's time for them to know. There are things I have brought up with them that were over their head - Caitlin being the most obvious - and I feel them out. If they have no interest, I drop it. If they express interest, I talk until they lose it. Perhaps I've never thought of, "I should talk to them about it because I talk to the doctors and therapists about it", because when we have appointments and they specifically ask, "What is new?" I always ask Julia, "What's new with you?" and try to include her in the conversation. I also have always figured that if a simple answer satisfies them, then that is all they are able and ready to absorb. Thank you so much! We actually have a car like that! It's taken M a while to get used to it, but recently he has been motoring around the neighborhood! I keep meaning to write a post about it. It's been a while since my last visit sorry about that. Life is just so chaotic at the moment.I think your doing a great job explaining it. It's like my daughters asking about being adopted. When my oldest started asking questions at about 3yr we gave her all the honest answers and held nothing back. I don't think you do them any justice if you hold back. Thanks for the validation, Ross! Good to hear from you and no need to stress! I know how busy life gets!